Lifeline 64oz double-wall 'Barrel' growler is a fresh take on the growlers of today. It features the same vacuum insulation technology as our other Fifty/Fifty bottles to keep liquids hot or cold all day. Double-wall technology prevents condensation & keeps the outside wall of the bottle comfortable to the touch while keeping the liquid inside at your desired temperature. Lifeline 64oz double-wall &apos;Barrel&apos; growler is a fresh take on the growlers of today. It features the same vacuum insulation technology as our other Fifty/Fifty bottles to keep liquids hot or cold all day. Double-wall technology prevents condensation & keeps the outside wall of the bottle comfortable to the touch while keeping the liquid inside at your desired temperature. In addition, the leak proof cap holds carbonation of beer and soda intact for days. 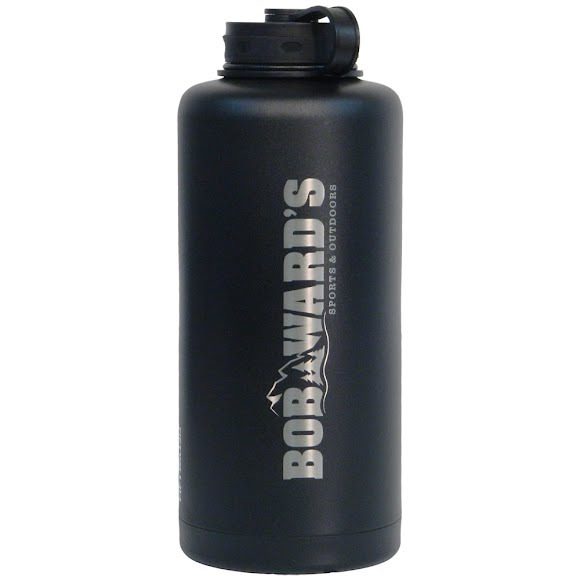 It is made of lightweight 18/8 stainless steel, which is BPA free and 100% recyclable. Our growler has no inner liner and will not retain odor or taste. Hand wash only with non-abrasive soap. Leave cap off and allow to air dry. For a more thorough cleaning, rinse bottle with a diluted vinegar or baking soda solution and air dry with cap off.